"Boating Party" by Renoir, Painting Reproduction on Canvas. 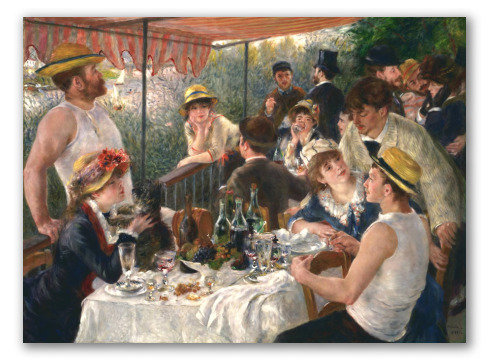 The Impressionist painting Luncheon of the Boating Party, was painted by Pierre-Auguste Renoir, in 1881. 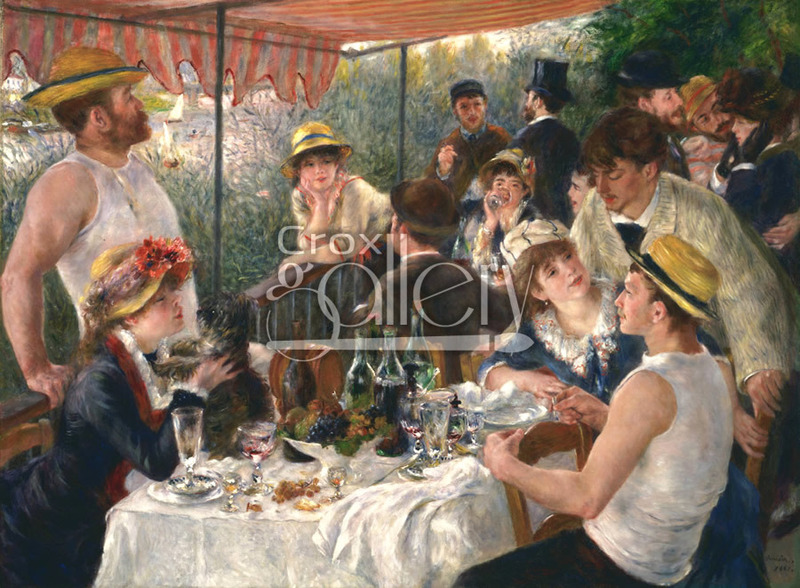 The work depicts a group of the painter’s friends relaxing at the restaurant "Maison Fournaise" on the banks of the Seine. The canvas is currently on display at the Phillips Collection Museum in Washington. © 2019 Crox Gallery, UK.